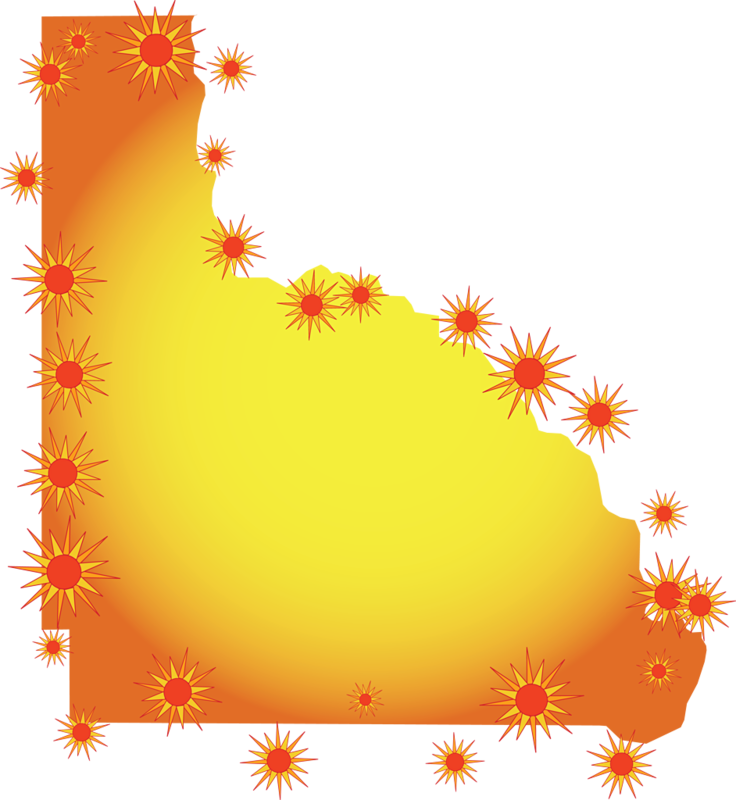 Description: A yellow and orange map of Lafayette with a border of suns. 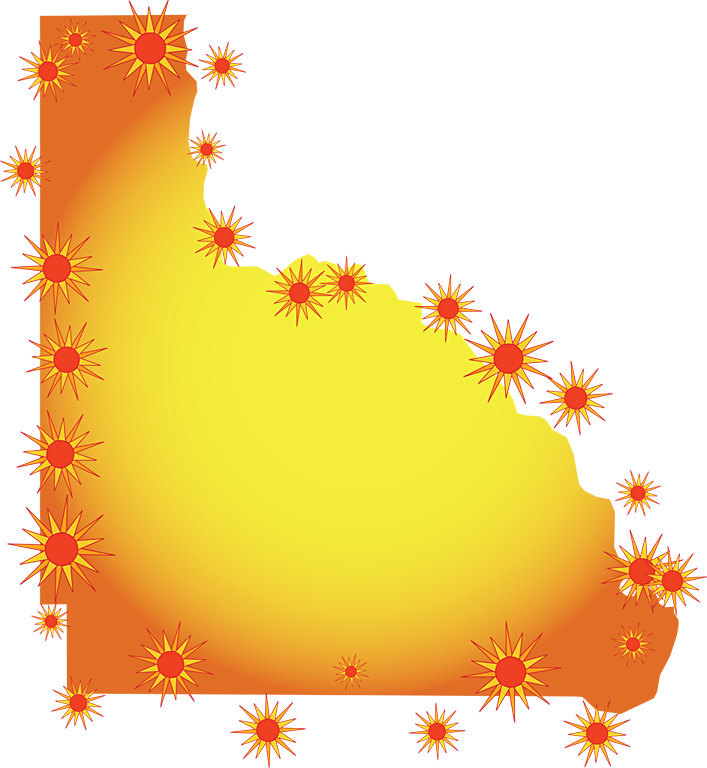 Suitable for the following themes: Lafayette environment, nature, weather, tourism, vacation, heat, hot, tanning. 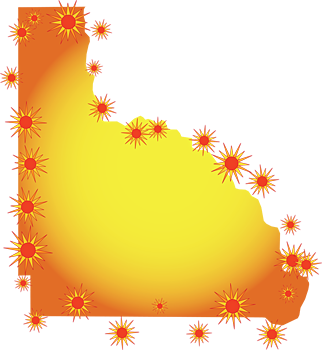 These maps are in the PNG format and have a transparent background. You can use them in your presentations, reports, and Web pages. There is also a link to a high-resolution TIFF version of the map if you need to print a very large, high-quality image. For any project such as a presentation or a web page that will be displayed on a computer, you should use the PNG versions displayed above, not the TIFF version.